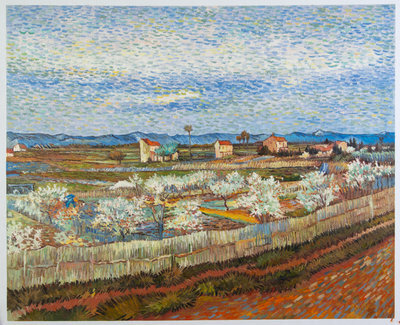 Like many other impressionist artists of that time, Van Gogh too, was influenced by Japanese art and culture. In fact, he himself coined the term Japonaiserie to express his own influence over the eastern art forms. 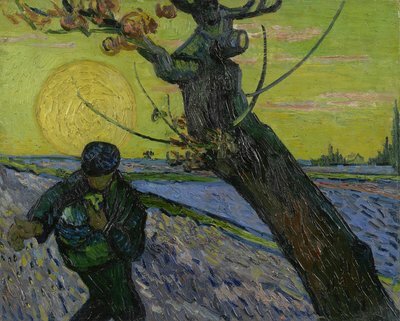 In a letter to his brother Theo, Van Gogh boldly expressed that all of his work was based on Japanese art in one way or another. According to him, studying Japanese art was like entering into a new religion. For him, studying Japanese art wasn’t possible without becoming more cheerful, and happier. It made him return to nature and follow his own path, instead of doing what everyone else was doing. 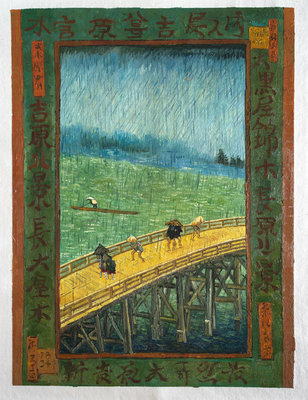 Some of the paintings by Van Gogh under Japonaiserie series include the Bridge in the Rain and Flowering Plum Tree. When the trade between Japan and Europe started in 1854, Japanese goods started hitting the European cities. And one of the most famous Japanese products among artists were wood block colour prints, or ukiyo-e prints, as they were called in Japanese. 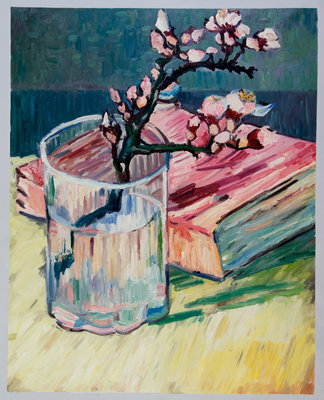 It was during Van Gogh’s stay in Paris when he discovered these wood blocks and got instantly inspired. He collected over 100 of these prints, and with his brother Theo, started dealing in them as well. A common characteristic of all these paintings in the Japonaiserie series is that an ordinary subject matter with a very distinctively cropped compositions is used. There are flat regions of uniform colour, and there is a big emphasis on decorative patterns. 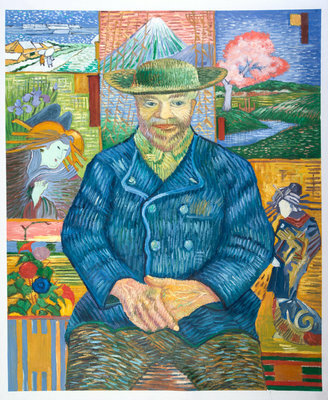 Most of these characteristics can also be found in the paintings which Van Gogh did during his stay in Antwerp. 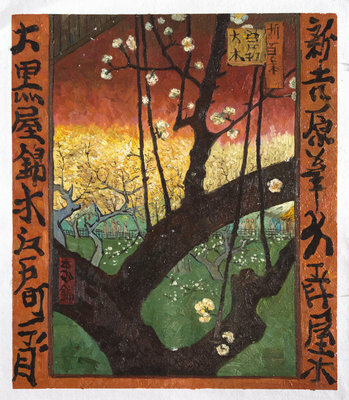 Two of the paintings from Japonaiserie series were actually copies of Hiroshige prints. 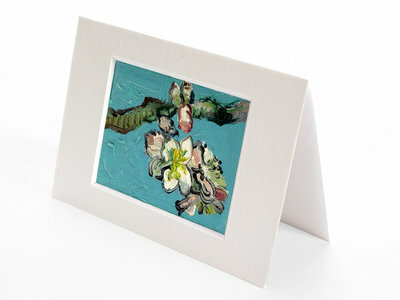 Just a few minutes away from the Van Gogh Museum in Amsterdam, is our esteem Van Gogh studio. 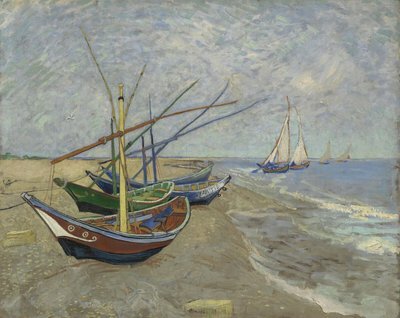 While you gaze at the original Van Gogh masterpieces at the museum, we are sure you must have dreamt about owning one yourself. 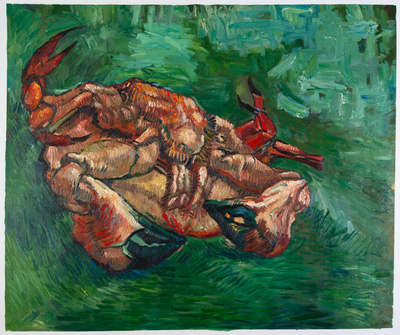 And now, with the help of Van Gogh Studio, you definitely can. 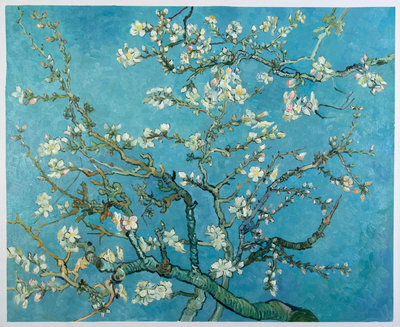 Our expert artists have meticulously studied Van Gogh’s paintings and techniques for years. So much so that you wouldn’t be able to spot a difference between the original and our reproductions. 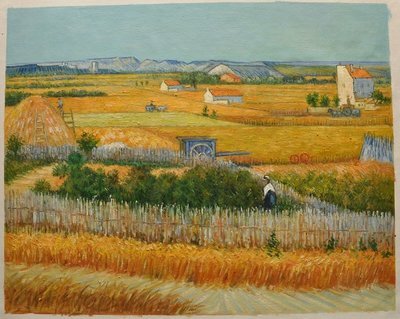 If you are looking for a particular Van Gogh painting, contact us today and we are sure we will be able to help you out.